Does the thought of going to the dentist make you feel anxious? If so, you’re not alone. Every year, many patients avoid care because of anxiety. Thankfully, there is a way to overcome fretful feelings and receive the important care you need. At Advanced Dental Care, Dr. Jorgenson offers effective sedation options to help patients have a completely different kind of experience. Why Choose Advanced Dental Care for Sedation Dentistry? 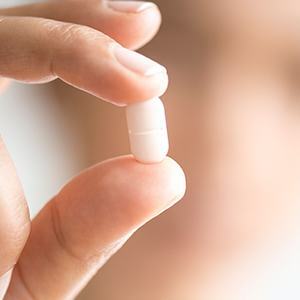 Oral conscious sedation uses a safe and commonly prescribed medication to create feelings of relaxation. On the day of your appointment, you’ll take your medication as directed and wait for it to take effect. By the time you arrive at our office with a friend or family member behind the wheel, you’ll be relaxed enough for us to begin your procedure. The effects of oral conscious sedation take time to wear off, so you’ll also need to have someone with you afterwards. 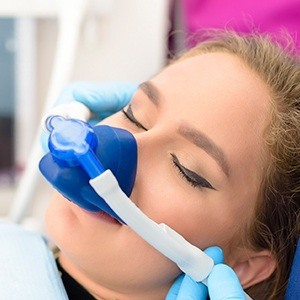 If you or your child just need a little help to get through your appointments, nitrous oxide sedation is a safe method that dentists have used for over 100 years. A patient simply inhales the gas through a small nasal mask, and within minutes, a complete sense of calm comes over them. The mask stays on the entire time, and once it is removed, the patient should feel completely normal within a matter of minutes. If you’re looking for gentle and compassionate care for your entire family, call our Costa Mesa office to reserve an appointment with Dr. Jorgenson. We are happy to serve patients from Irvine, Newport Beach, Huntington Beach, and beyond.